Look for special event station TM9AAW to be on the air between February 10-26th. Activity is to celebrate the 9th Antarctic Activity Week (AAW). 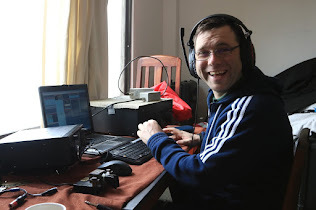 Operations will be made by François, F8DVD, from his QTH of Mâcon in the east part of France. The WAP reference number for TM9AAW is 220. Operations will be on 40-10 meters mostly SSB. QSL via F8DVD, by the Bureau or direct (w/SAE + 1 IRC or 2 USDs to: François Bergez, 6, Rue de la Liberté, F-71000 MACON, FRANCE.